Microgaming have reinterpreted a famous nursery rhyme about Jack and Jill who went to a well to bring some water. 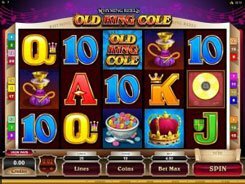 In this 5-reel 20-payline slot, the main characters have a romantic time together on a hill near a well. 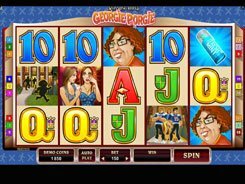 A coin size in the game ranges from $0.01 to $0.1, with up to 10 coins allowed per line, therefore the top wager is $20 per spin. The symbols include a first aid kit, Jack, Jill, a well, a water bucket, and playing card icons. 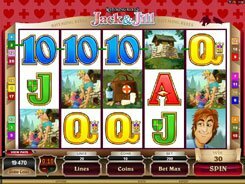 The Jack and Jill logo acts as a wild, a wild multiplier, substituting for other symbols and doubling payouts when completing a payline. A scatter symbol activates 15 free spins with a x4 multiplier if three or more scatters occur in any position. 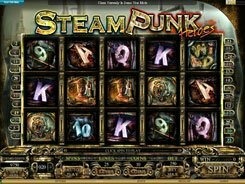 What’s more, five scatters pay out the first-largest jackpot of $20,000, but during the free spins feature you can hook an awesome 880,000-coin reward if you are lucky enough. 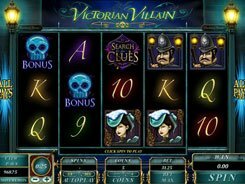 In the end, the slot will appeal to low-limit bettors and all Microgaming slot fans who like top quality gaming solutions.